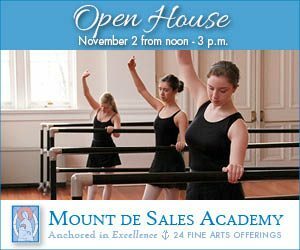 In 1852 Mount de Sales Academy was founded for the education of young women by a group of Visitation nuns from Georgetown. This was the first Catholic institution in Baltimore County to offer education to young women of all denominations. 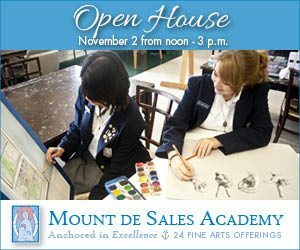 Mount de Sales’ earliest students represented nearly all states as well as several European and Latin American countries. Obtaining applicants was not a problem until the mid-2000s. The school began to see a decline because its neighborhood was seeing a decline in residents and the pool of potential students within their traditional recruitment zone was shrinking. Reach out to perspective students outside of their traditional geographical base who were affiliated with faith-based schools. 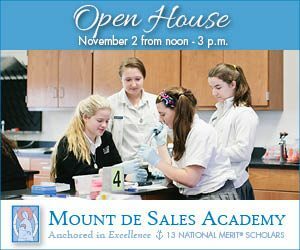 Our research showed that perspective parents and students saw Mount de Sales as a unique destination school. Use TV, digital and social media in place of print and direct mail. We needed to place an emphasis on targeting and appealing to both audiences: perspective students and their parents. Focus messages on Mount de Sales with emphasis on the fact that they are a Catholic school and to talk about faith formation as part of the curriculum. 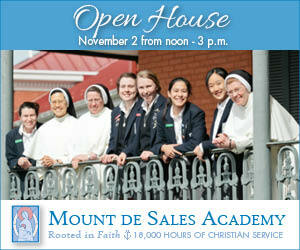 It was important to tell the Mount de Sales’ rich story that comprised many layers. We wanted to focus on developing the “whole person,” while explaining their philosophy of nurturing the spirit. Almost immediately, the school saw an increase in applicants and more importantly, of the caliber they desired. By the end of the 2013/2014 admission year, they not only filled their class, but had a waiting list. In follow-up interviews with perspective parents, especially outside of the school’s traditional geographic recruitment zones, there was a buzz about media we had put out. The message was resonating. We continue to work with Mount de Sales Academy and are proud to say the trend continues. And, that in 2016/2017 they not only have filled their classes again but are also drawing students from neighborhoods and communities outside of their traditional base.